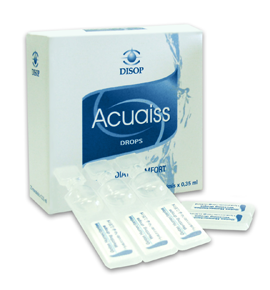 Acuaiss single-dose preservative-free eye drops with hyaluronic acid lubricate and hydrate your eyes providing immediate relief for the feeling of dry or itchy eyes. The small format is easy to use wherever you go. The economically priced single-dose format is designed to fit in your pocket, so that you can use Acuaiss anywhere.